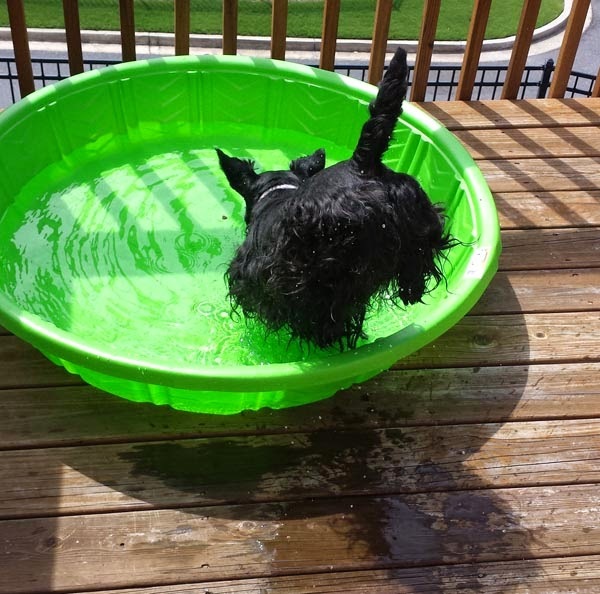 Mr. K diving right into the Scottie-safe pool. What? 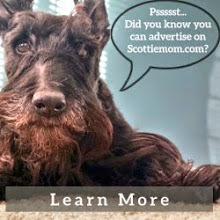 is there something in my beard? 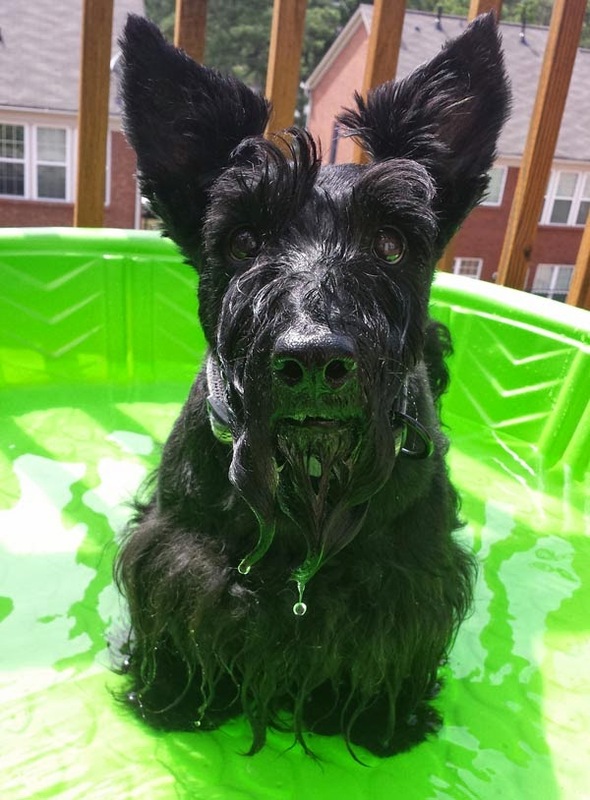 With sunny skies and warm temperatures, we decided it was high time to break out the new Scottie-safe swimming pool and let Heather and Mr. K have some (wet) fun in the sun! Mr. K was all about it - dashing in and dashing out of the pool, only to repeat the process over and over again. Heather, on the other hand, didn't want any part of it. 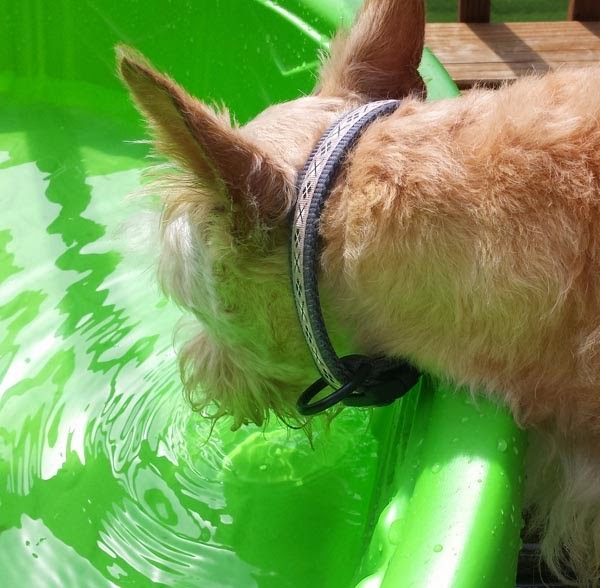 Instead, she preferred to relax in the sun and occasionally, if it got too hot, she would wander over to Mr. K's splash bath and lap up a cool drink from what might be the largest drinking bowl on Earth. Want to see Mr. K in action? Check out this quick clip below. No pool for me. I don't even want to get near puddles. You guys are adorable! 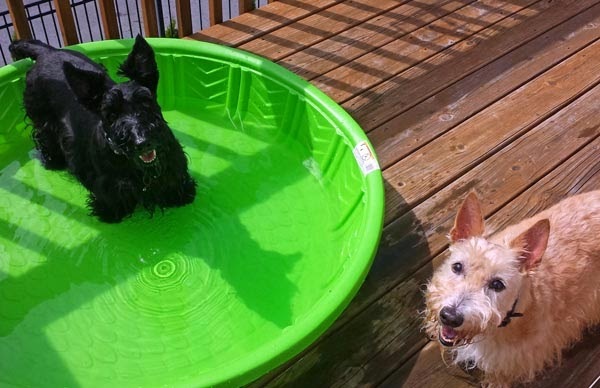 We love our splash pool too. I tend to just lie in it, my little sis really plays in it! 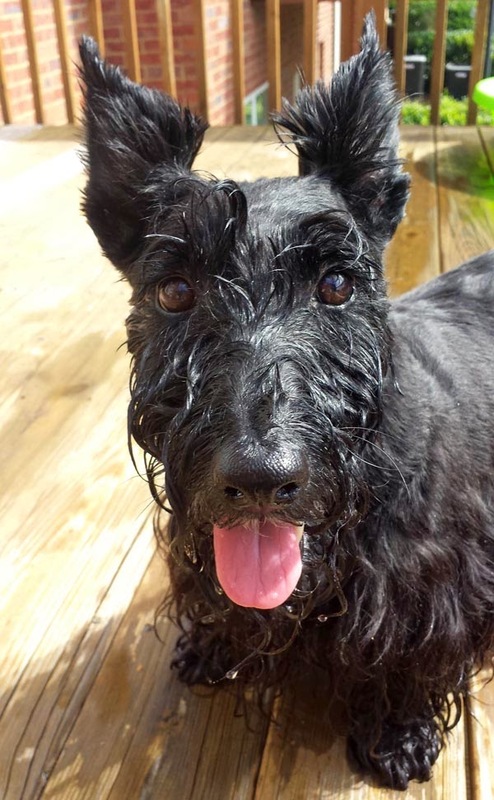 My post from a couple weeks ago is similar to yours, just a different breed and different pool color http://mygbgvlife.com/2014/06/02/theres-something-fishy-pool/ Love little Scottie dogs, but rarely see them around. Love the color of your pool! 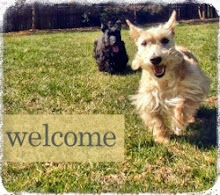 Sidney and Shelby do not believe that Scotties should be near the water. They don't even like to go out in the rain. I'm impressed with your dive.